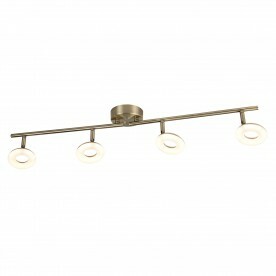 Create style and a warm ambience using this donut split bar fitting. 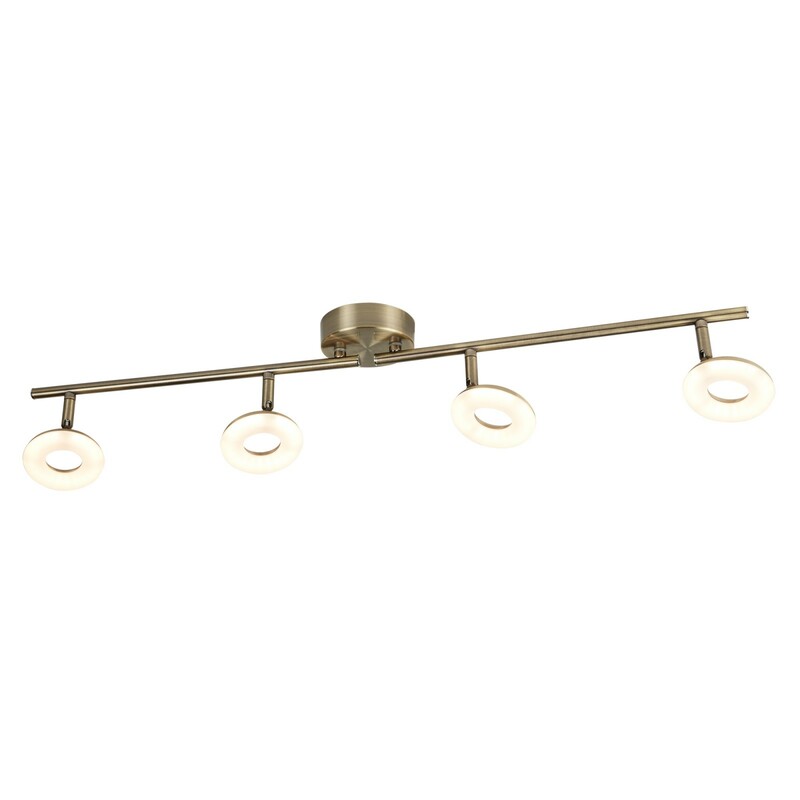 Antique brass provides a classic and vintage feel to the item. 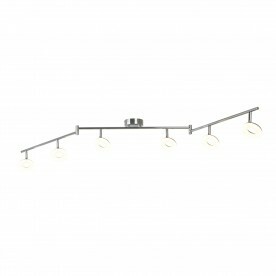 Change the angle of the 4 lights and split bar. 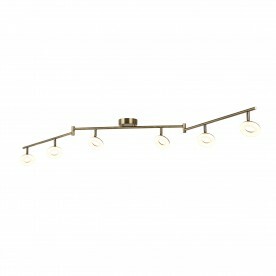 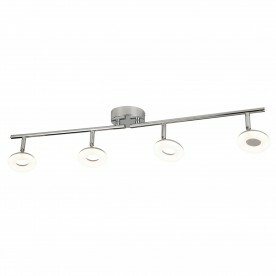 Ideal for providing a generous spread of light to your kitchen, living room or dining area.